In the tradition of Jennifer Robson, comes this compelling debut that weaves the fascinating story of a young woman who must risk her life as a spy to help stop Napoleon’s invasion of Great Britain in the winter of 1803. Though the daughter of an English baronet, Lisbeth has defied convention by eloping to France with her new husband. But when he breaks her heart by abandoning her, she has nowhere to turn and must work in a local tavern. Her only hope for the future is to be reunited with her young son who is being raised by her mother-in law. A seasoned spy known by his operatives as Tidewatcher, Duncan apprenticed under Lisbeth’s father and pledged to watch over his mentor’s only daughter while he searches the Channel region for evidence that Bonaparte has built a fleet to invade Britain. But unpredictable Lisbeth challenges his lifelong habit of distance. Eccentric, brilliant American inventor Robert Fulton is working on David Bushnell’s “turtle”—the first fully submersible ship—when he creates brand-new torpedo technology, which he plans to sell to the French Navy. But when his relationship with Bonaparte sours, he accepts Tidewatcher’s help to relocate to the French side of the Channel, but he refuses to share his invention. With an entire army encamped in the region, blocking off all access, Tidewatcher must get that submersible, along with someone who knows how to use it, to uncover Bonaparte’s great secret. When Lisbeth is asked to pose as a housekeeper and charm Fulton so she can learn to use the submersible before the invasion fleet sails, she will be forced to sacrifice herself for her country—but is she willing to sacrifice her heart when she’s already lost it to another…? 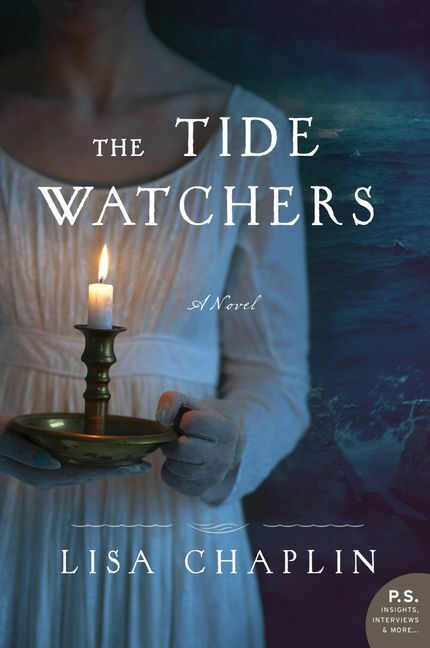 A fast-paced, deeply-researched, and richly imagined novel, The Tide Watchers explores a long-hidden, chapter of Bonaparte’s history.